Our highly qualified specialist building surveyors will offer you expert advice on your property problems and can carry out a building survey on your prospective purchase; whether it is residential or for commercial business. We can prepare a Schedule of Condition and Property Report in relation to your lease. 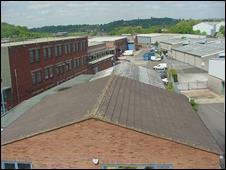 We also carry out Dilapidations Reports for landlords or tenants. Please free phone us on 0800 298 5424 for a friendly chat for one of our building surveyors. In recent times, there have been two reports highlighting the importance of Automatic Fire Sprinkler Systems in warehouses and industrial units, particularly in large warehouses and industrial units where there may be an equally large collection of valuable assets. Thought has to be given to the damage and destruction that can be caused by a fire – big or small. Over the years we have written literally hundreds of articles relating to everything to do with property, buying and selling houses, estate agents, surveying – you name it we have written about it! CEBR have produced a report that looks specifically at the financial and economic value of the damage and the problems caused by fires in warehouses and industrial buildings. We are specifically looking at those in England and Wales not fitted with Automatic Fire Sprinkler Systems. Building and Fire Regulations – What’s their primary concern? 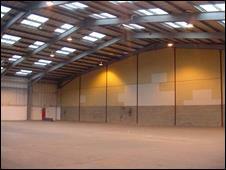 The basic requirements when building a warehouse in the UK are to meet the building regulations and planning permissions. 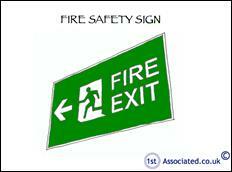 The building regulations look at the technical aspect of how a building is built that incorporate fire safety. It has to be remembered that throughout the building regulations the safety relates to aiding people to safely exist within the building or safely escape from the building in the worst case scenario of a fire. It may well have hundreds of thousands of pounds worth of stock within the building that burns because the building regulations and fire regulations related to the safe exit of people. 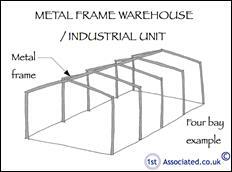 It should be remembered that when a warehouse or industrial unit or distribution centre is built, it is usually built speculatively without the knowledge of who is going to be using the unit and it could then be filled with inflammable or non-inflammable materials or even highly inflammable liquids at a later date. A fire risk assessment or a fire safety assessment could take into consideration the impact of the goods stored in a building as well and, also, the business / risk assessment to be made as to whether cost of fire prevention measures are worthwhile to save the goods stored within the warehouse. As with everything in business or life, more generally you have to look at some form of risk assessment based upon the sort of products that you have stored in the warehouse and the way that you wish them to establish the risk that you particularly have. The Building Research Establishment (BRE), has over the years, been considered to have been set up many years ago, originally it was a Government owned establishment and investigated the way we build and potential problems in the way we build and analysis of building defects. 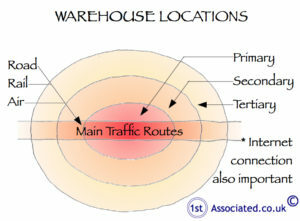 They have produced reports in relation to sprinkler systems in three ranges of warehouses based upon life cycle analysis. For those of you wondering what life cycle analysis is, this is where you look at the whole life of the building which includes not only the building costs but also the maintenance costs; these are such things as repairs to roofs but also e.g. cleaning and a much broader look at the element. Life cycle costing is certainly something that an informed property owner or property leaseholder should be looking at. It was stated that they have research papers in relation to warehouses, building sizes and the economic values of Fire Sprinkler Systems. It probably goes without saying that the Emergency and Rescue Teams commonly known as the Fire Brigade or the Fire and Rescue Service are concerned about the problems of fires in warehouses and we do believe they have run free to attend seminars in the past, on specialist Automatic Sprinkler Systems and no doubt they will do in the future. Insurance Companies that insure the goods in the warehouse are also keen to make sure that buildings stay intact and don’t burn down and they too, from what we understand, have been involved with free to attend seminars. For those of you wishing to find out more, you can contact us on Free phone 0800 298 5424 or alternatively contact the British Automatic Fire Sprinkler Association or their website is worth looking at too – BAFSA.org.uk. Please feel free to have a look at our website to see for yourself the quality of our website, articles and Building Survey reports. We pride ourselves on our professional standard and easy to read reports written in plain English, which we have been carrying out for many years on every era, type and style of property across the UK. Can I get an example of one of your Building Survey Reports? We would always be happy to email you some examples of Schedules of Condition, Property Reports and Dilapidations Reports that our building surveyors have carried out. Free Phone us on 0800 298 5424 and ask for an example of the specific survey you want. 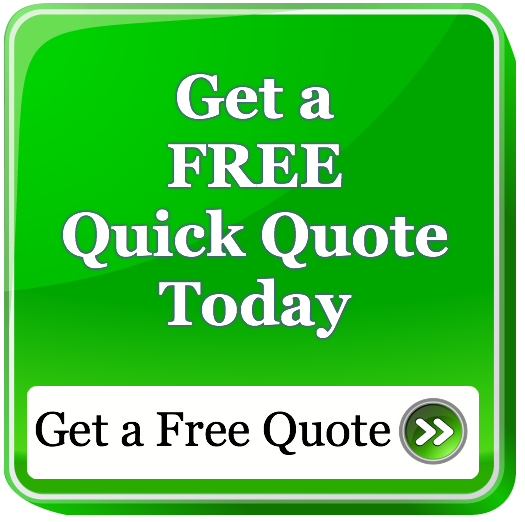 We will also offer you a free Survey Quote and property booklet. If you would like Dilaps Help then please visit our www.DilapsHelp.com website and for Disputes go to our Disputes Help site www.DisputesHelp.com. Why should we use your building surveyors? We are independent building surveyors, meaning we are not working for any estate agents, bank or building society and therefore work only for you, offering you independent advice. Our building survey reports are written in plain English, meaning they are easy to read. Any technical surveying terms are backed up by taking photographs throughout the survey and using our surveying sketches to explain what we are referring to. Feedback from clients says how much they like and appreciate this.